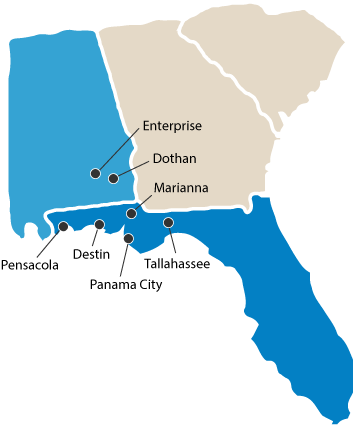 PI operates multiple service hubs to provide coverage throughout the Panhandle and beyond. 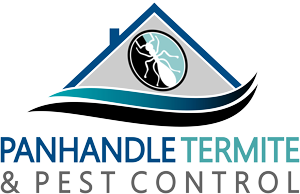 We cover over 150 cities throughout Florida and Alabama. Abe Springs, Alford, Altha, Argyle, Abbeville, Ashford, Avon, Bagdad, Baker, Barrineau Park, Bascom, Bellview, Bethlehem, Beulah, Black, Blackman, Blountstown, Bonifay, Bristol, Broad Branch, Brent, Callaway, Campbellton, Campton, Cantonment, Caryville, Century, Chason, Chattahoochee, Chipley, Chipola, Cinco Bayou, Coffee Springs, Columbia, Cottondale, Cottonwood, Cowarts, Cox, Crestview, Dalkeith, Deerland, DeFuniak Springs, Destin, Dothan, Ebro, Eglin AFB, Ensley, Escambia Farms, Estiffanulga, Esto, Eucheanna (Euchee Valley), Eufala, Eunola, Ferry Pass, Fisher Corner, Fort Walton Beach, Freeport, Frink, Garden City, Gaskins, Geneva, Glendale, Gonzalez, Gordon, Goulding, Graceville, Grand Ridge, Greensboro, Greenwood, Gretna, Grayton Beach, Gulf Breeze, Haleburg, Hartford, Havana, Headland, Henderson Mill, Highland View, Holt, Honeyville, Hosford, Innerarity Point, Iolee, Jacob City, Jay, Kinard, Kinsey, Lake Lorraine, Laurel Hill, Leonards, Madrid, Lynn Haven, Malone, Malvern, Marianna, Mary Esther, Marysville, McDavid, McNeal, Mexico Beach, Midway, Milligan, Milton, Miramar Beach, Molino, Mossy Head, Munson, Myrtle Grove, Navarre, Navarre Beach, New Hope, Newville, Niceville, Noma, Ocean City, Ocheesee Landing, Ocheeseulga, Orange, Overstreet, Pace, Panama City, Panama City Beach, Parker, Paxton, Pensacola, Pensacola Beach, Perdido Key, Pine Island, Ponce de Leon, Port St. Joe, Quincy, Rehobeth, Rock Bluff, Rollins Corner, Samson, Santa Rosa Beach, Scotts Ferry, Seaside, Selman, Seminole, Shalimar, Slocomb, Sneads, Springfield, Sumatra, Taylor, Telogia, Valparaiso, Vernon, Walnut Hill, Warrington, Wausau, Webb, West Pensacola, Westville, Wewahitchka, White City, Willis, Wilma, Woods and Wright.